I'm Mo. I spend my time crafting and playing with my year old black lab. I watch Star Trek while I crochet, and I listen to Moloko while I write. I was an active participant in NaNoWriMo last year, and I intend to continue the tradition. I collect owls, yarn, and inspiration. My favorite activities are sewing and thrifting, as well as dreaming up new crochet patterns. The other day, I opened my mailbox, and found something I had been waiting for for quite some time. I ordered a clear cell phone case so I could make it pretty and have my own, personalized case. I thought I would share my process with you as my craft for the weekend! • A clear cell phone case, mine is a hard shell case, which I found on amazon for pretty cheap. • cardstock in some constrasting colors. • scissors or a rotary cutter/mat. • about fifteen minutes to craft. 1. Measure the back of the case. You will want to include all of the FLAT part of the bottom. If you have an iPhone that might be easier. I have a Motorola XPRT. so the sides of my case are rounded. Mine measured 5.5 X 2.25 inches. 2. 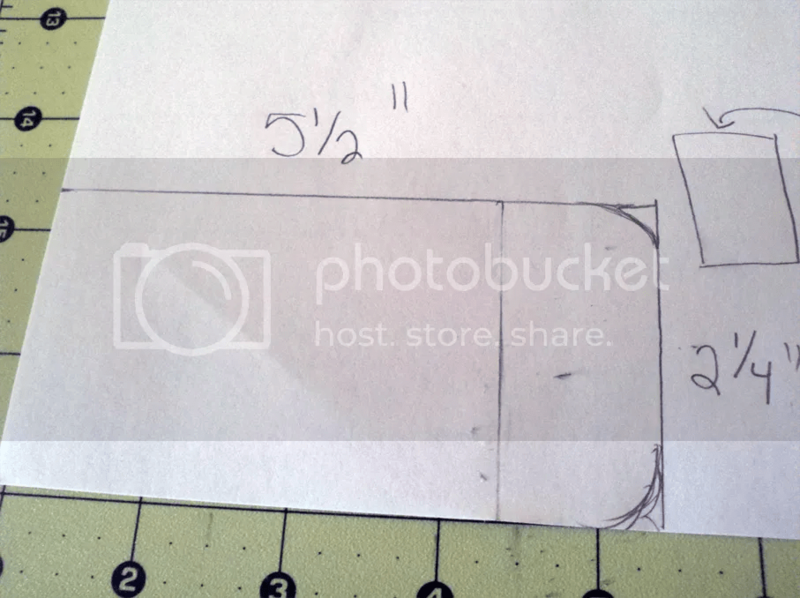 Draw a square with your measurements on the cardstock, and round the corners. 4. Cut the rounded square from the desired cardstock. This is where I got out my rotary cutter, so I could make an incision into the paper without having to fold it and slice it with scissors. 5. Make sure your piece of cardstock fits in the bottom of the case without being bent. If it doesn’t, trim off any excess paper, and fit it again. Once you have it fitting in the bottom of your case with none of the sides bent upward, you’re ready to decorate! 6. 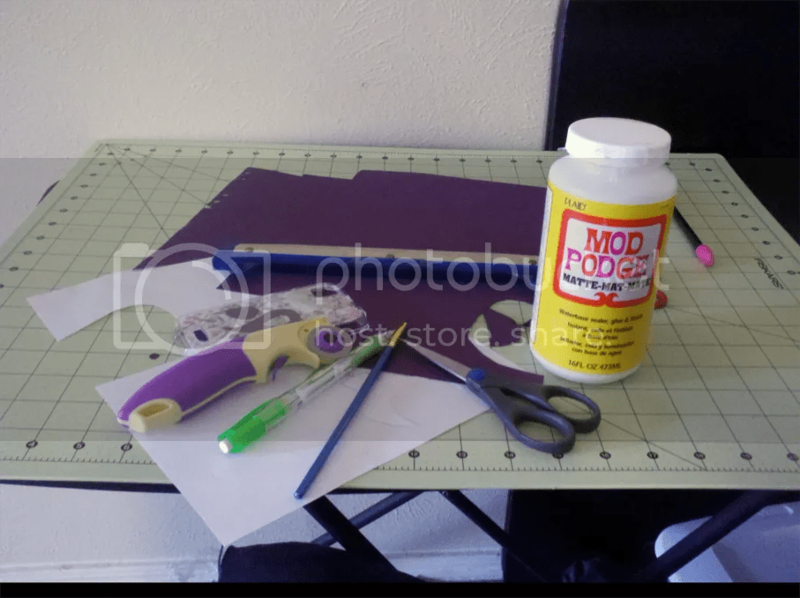 Take a contrasting color of cardstock, and cut out some shapes, or grab some glitter to put in there. 8. Affix the decorations on the cardstock, making sure not tocover any of the holes you cut in the paper. 10. Let the card stock dry completely. It took mine about 10 minutes or so. Then put it in the back of your cell phone case, and enjoy! The best part about this craft is that you can make so many different backgrounds for your case. There is practically no limit. 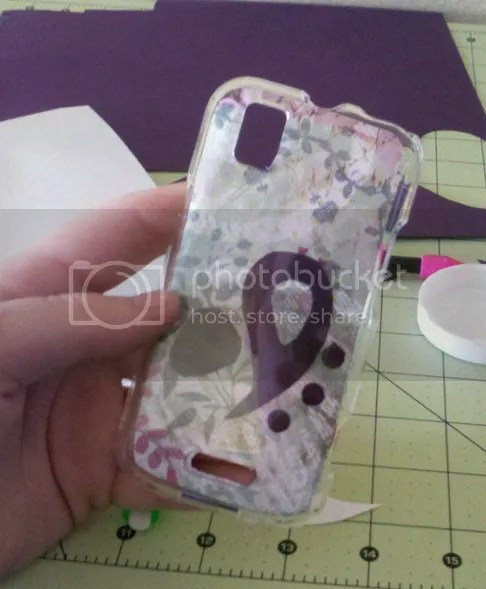 Because we fitted the piece of cardstock to the back of the case, and we didn’t actually mod podge it to the case (your phone will hold it in there good enough) you can take it out whenever you want to change the look! I could sit down and make a thousand of these things. They’d all be different, and they’re so easy. The most expensive part is the clear cell phone case. It only cost me about $5 or $6 to get the case shipped to me, and that’s about it. The rest of the pieces I already had in my craft supplies.